In most organizations, social security numbers, credit card information, and consumer data are kept secure under cyber lock and key. When it comes to healthcare, however, organizations are tasked with more than just data protection, but also protecting the lives and well-being of their patients. 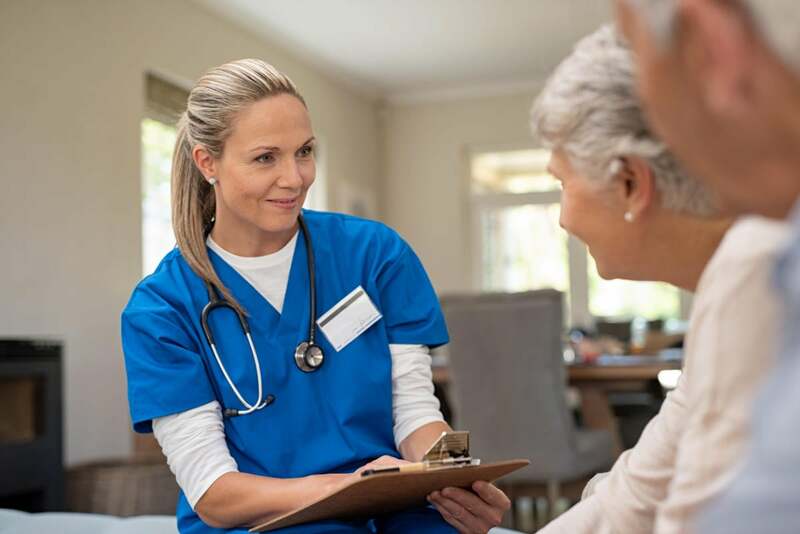 Bridgeway Senior Healthcare is a nationally recognized, award-winning healthcare provider in New Jersey that has been family-owned-and-operated for more than three generations. They have seen healthcare evolve over those years, and recognize that security needs to keep pace with medical innovation. "Pacemakers and diabetic pumps have now become a gateway for attackers," Bridgeway Senior Healthcare CIO, Jason Dugenio, explained. "We are now dealing with securing a life, not just patient health information," he added. For providers, data security and patient care can often seem to be mutually exclusive. However, when armed with the right tools, healthcare providers can focus on what matters most: their patients. We recently spoke to Dugenio, as well as Bridgeway’s Director of Care Transitions, Janine Payeur-Narine, and Systems Engineer, Joe Ciufo about Bridgeway Senior Healthcare's security architecture, and how it leverages Fortinet products such as the Fortinet Security Fabric and FortiVoice to secure PHI and protect the lives of their patients. What challenges come with securing Bridgeway Senior Care and resident/patient data? DUGENIO: Everybody has the same 'why' when they come to work here at Bridgeway. We know that our work impacts lives, and at the center of that is quality of care. When it comes to cybersecurity, there is no choice between security or a life. We are always going to choose a life. Cost-effective and powerful cybersecurity helps us make that possible. How do Fortinet solutions help you manage that challenge? DUGENIO: Working with an enterprise-level security vendor, like Fortinet, gives me the ability to not have to choose between life or security. Bridgeway uses FortiVoice as a phone communication system. The service helps us enhance our business by improving the accountability and reachability of our staff. How does Bridgeway use FortiVoice? DUGENIO: Being able to tell exactly what happened in a phone communication is really crucial to quality of care. It's important for us to know if a doctor calls, if we need to send somebody over to the emergency room, or if somebody needs to discuss the course of patient care with a nurse. FortiVoice is valuable because it allows us to note those things efficiently. Tell us about the use cases for FortiVoice and how they help your business. When a doctor calls, we have the ability to transfer calls from cordless phones, check logs to see if a call was missed or went to voicemail, see where the person called from or if it was a blind transfer, etc. Missed calls mean a loss of business. When a new patient is admitted, FortiVoice allows us to track calls from hospitals, show ringing to groups of employees, transfer calls from cordless phones, and note the admissions representative taking the call. When family members call, Clinical Liaisons are able to document whether "Mom" was at an activity (social or medical appointment) and they couldn't reach her. This is helpful for tracking, especially if they did not leave a message. How does FortiVoice make your job and the job of those using it easier? PAYEUR-NARINE: Our Clinical Liaison is someone who works directly with the hospital social workers to be able to accept post-acute patients. It's really important that she answers calls as timely and as quickly as possible, and gets back to the hospital with an answer as quickly as possible. I had realized that calls were being missed, so we equipped our Clinical Liaisons with a cordless phone and now it's no longer a problem. What was the experience of switching from your old system to FortiVoice? CIUFO: Switching from our old PBX phone system to FortiVoice was seamless and easy. We were able to do it relatively quickly without third-party vendor support. How does it make your job as a Systems Engineer easier? CIUFO: We used to have to hit a button and then call forward that number over to the other extension. Now, it just goes to one generalized voicemail and everyone within that team gets an email. They can dial-in to listen to the message and we're not missing any leads or potential admissions into our building. Before FortiVoice, I had to be in front of the screen typing commands. Now, from anywhere, I can access the FortiVoice console and everything is just a couple of clicks away! We can have the full visibility of the phone system through the interface. It's kind of a night and day comparison to what we had before.